Bohemian is an interior designing style that is an attempt at showcasing the inner free spirit of every individual. 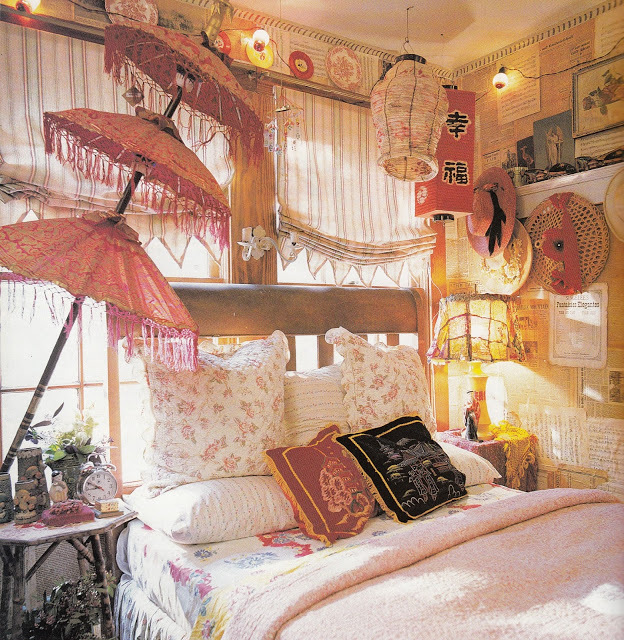 With elements of being carefree, artistic, a little theatrical and a whole lot of drama, boho decor is the way to go! 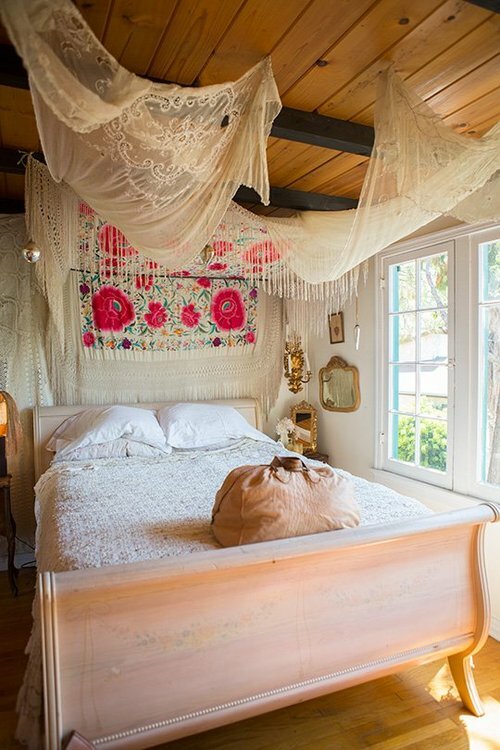 So here are a few bedroom decorating ideas that you can use to showcase the gypsy in your soul. 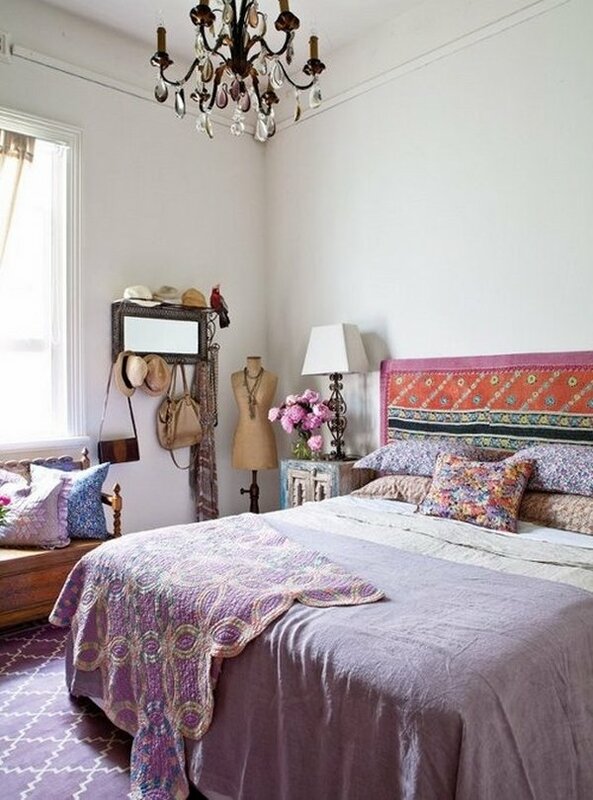 Boho is all about picking up the best of eclectic decor items for the space. 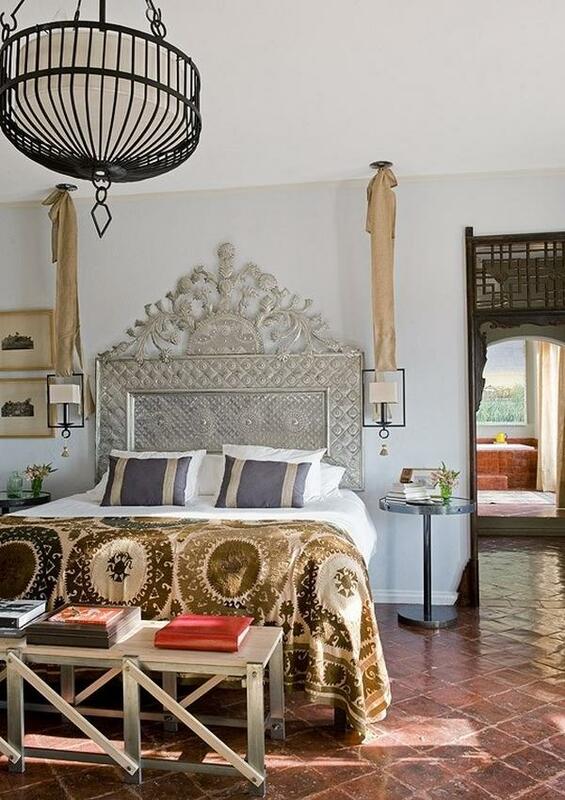 A good piece to start with in your bedroom, is an artistic wooden headboard. Remember to choose something that has authentic carved work rather than the usual cushioned or plain headboards. A bedroom is supposed to be your personal cozy corner. 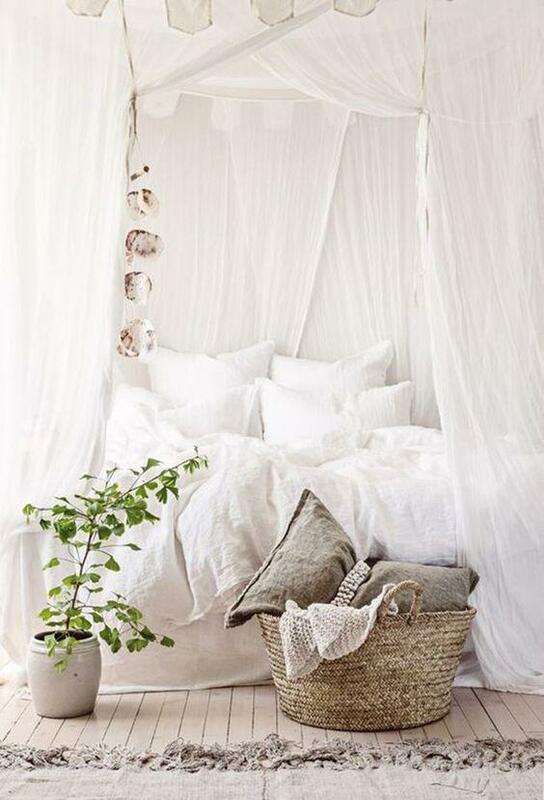 So make it cozier by creating yourself a canopy using light colored linen. 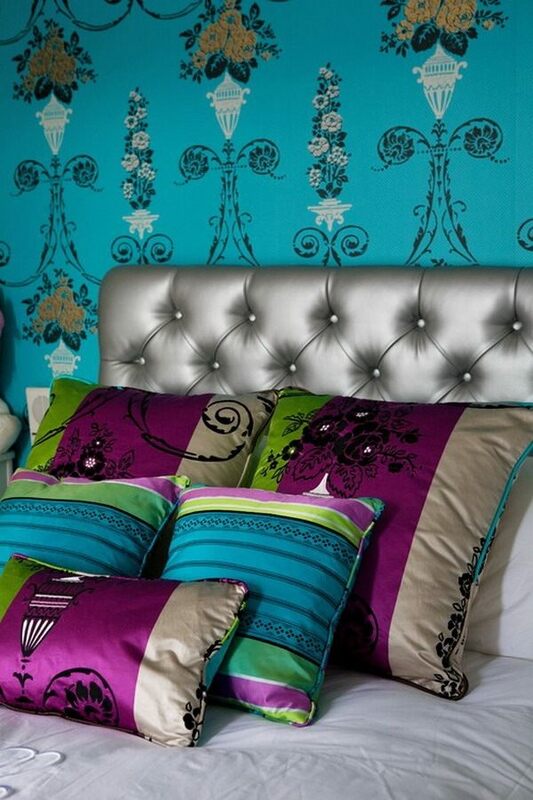 Choose colors that would suit the rest of the decor in your room, is easy to manage and doesn’t crowd a space. You could make it all around your bed or simply at the headrest, depending on the space available to you. 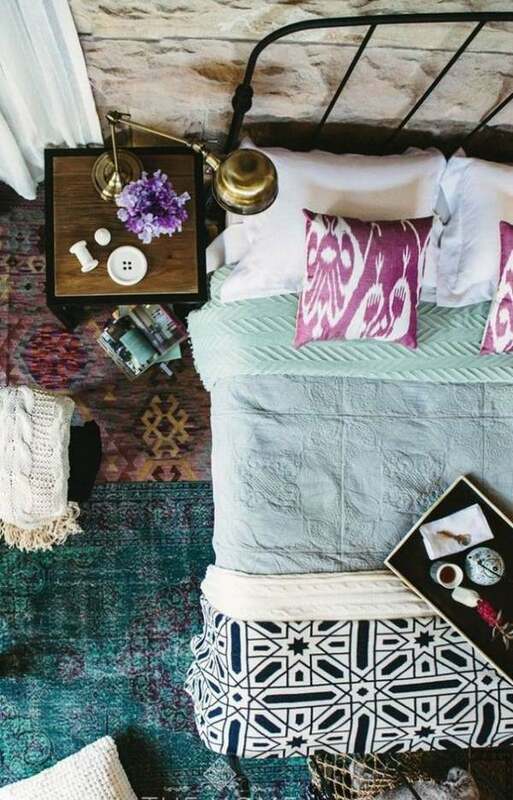 Boho decor is all about being carefree and giving the space the vibes to calm your nerves down after a long day at work. And there’s nothing better than green plants to bring in a sense of calmness to a place. 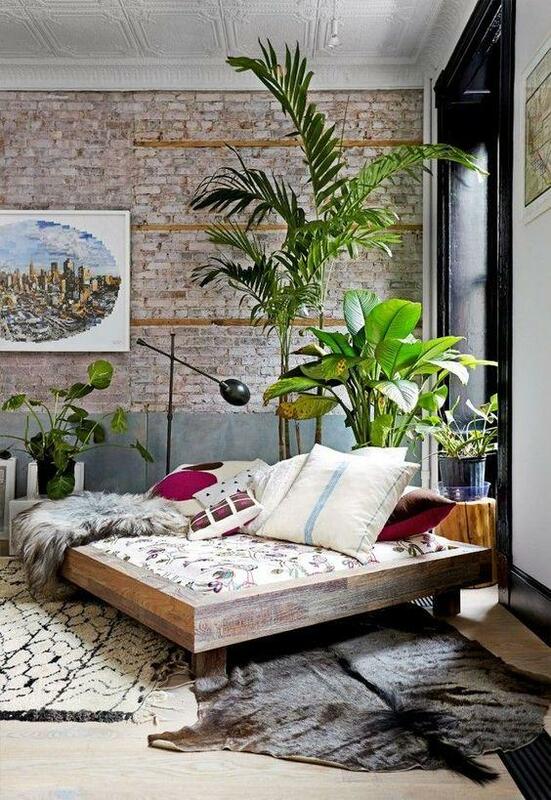 Pick out your favorite green plants for your bedroom – just remember not to go overboard with them to keep yourself some floor space. 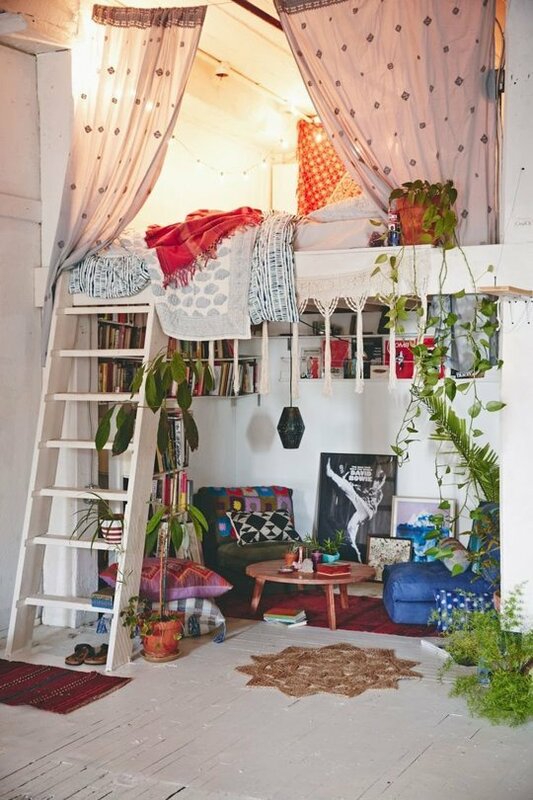 Alternatively, you could choose to hang some plants instead! One thing that can instantly change the way your bedroom looks, is the linen. 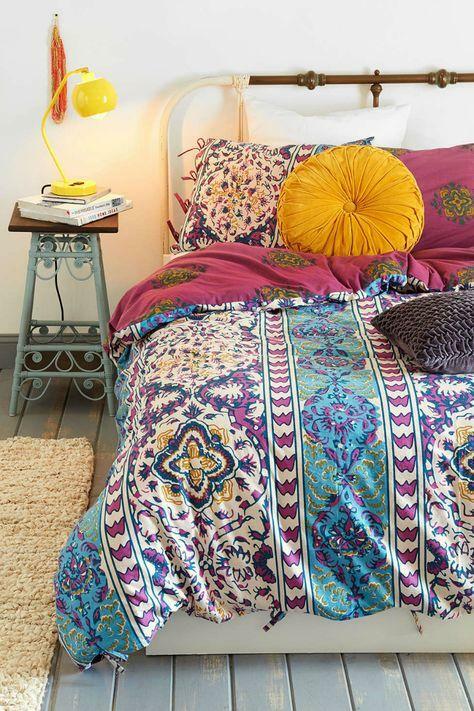 Get yourself some bohemian bedding set, bed covers and throws in different colors, and patterns from different cultures. You could choose the brightest of shades or choose pastels depending on your colors preferences! 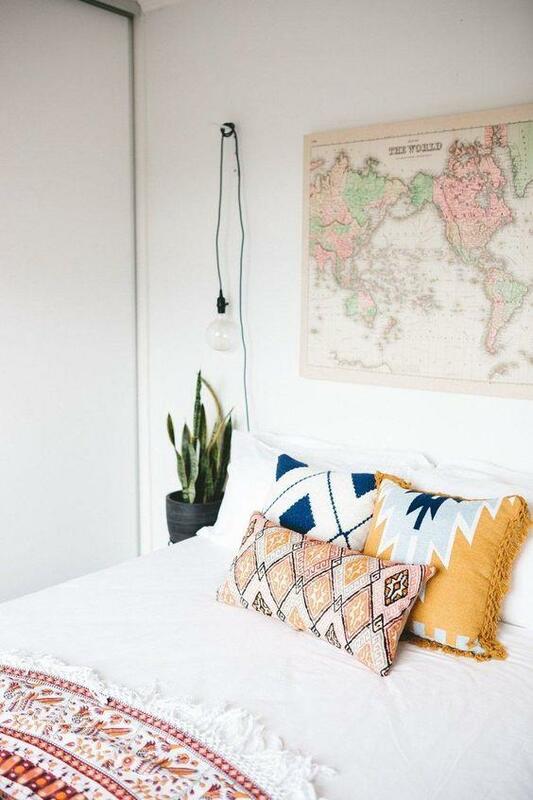 boho pillows are our favorite element for decorating bedrooms. They don’t just make the space a lot more cozier, but can change the look of it in minutes. Pick out lots of cushions in different colors, patterns and textures. Just remember to pick out some culturally rich designs as well! 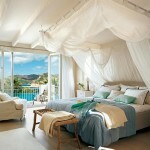 The curtains in your bedroom have the capability of either complementing or suppressing the rest of your decor. 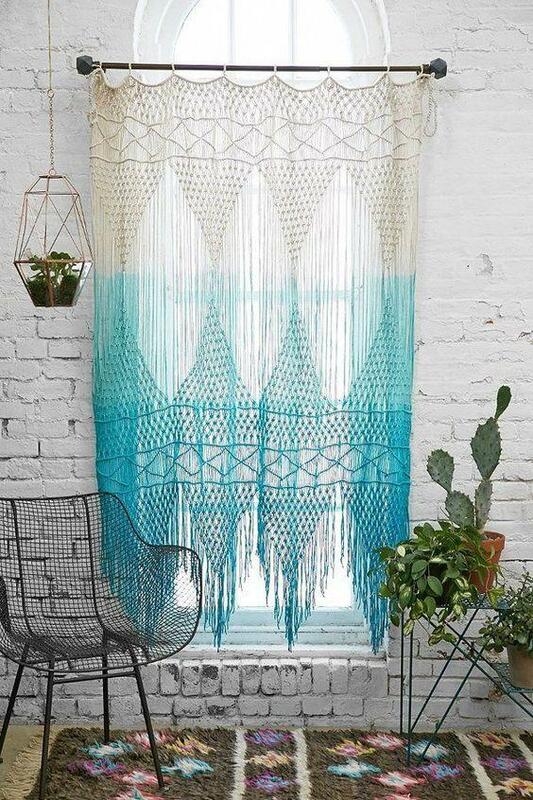 So go boho with your curtains and experiment with different textures. 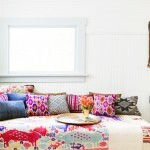 Don’t be afraid to choose a combination of colors and different lengths of curtains. The more carefree it looks, the better it is! 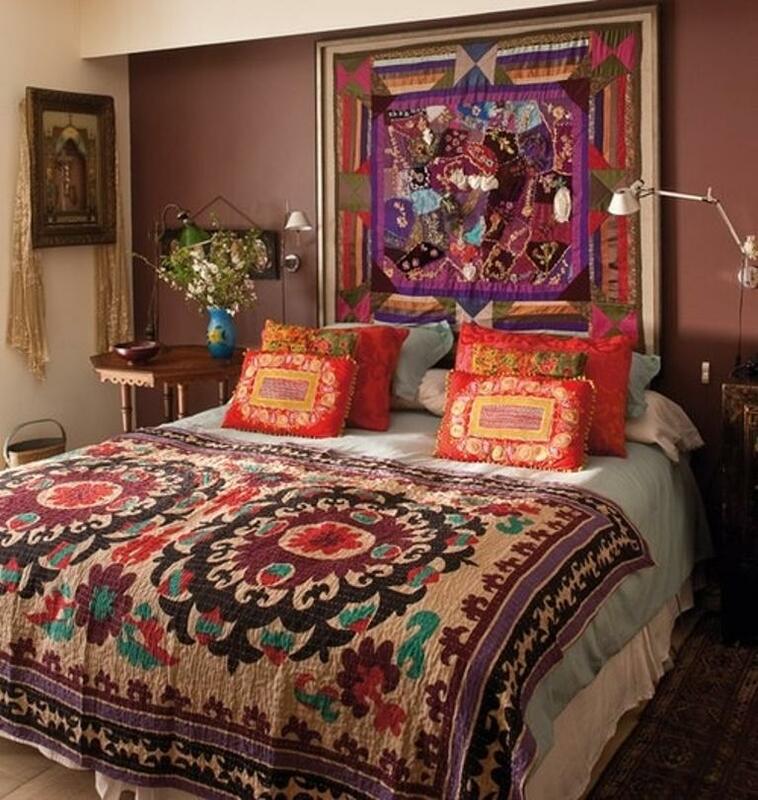 Bohemian bedrooms sometimes have the tendency of looking simply cluttered. So curate your decor based on the space available to you and do so being really choosy. 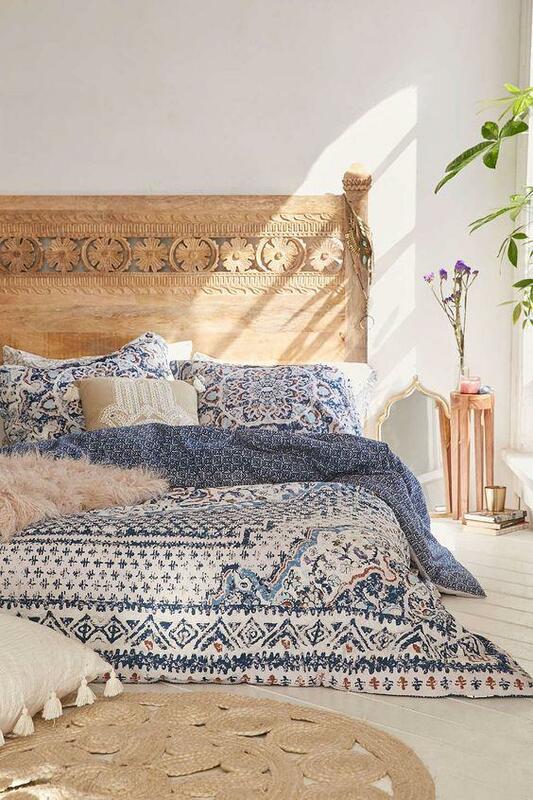 You want the room to look every bit of authentic and yet a little carefree, so take your time while boho-fying your bedroom! 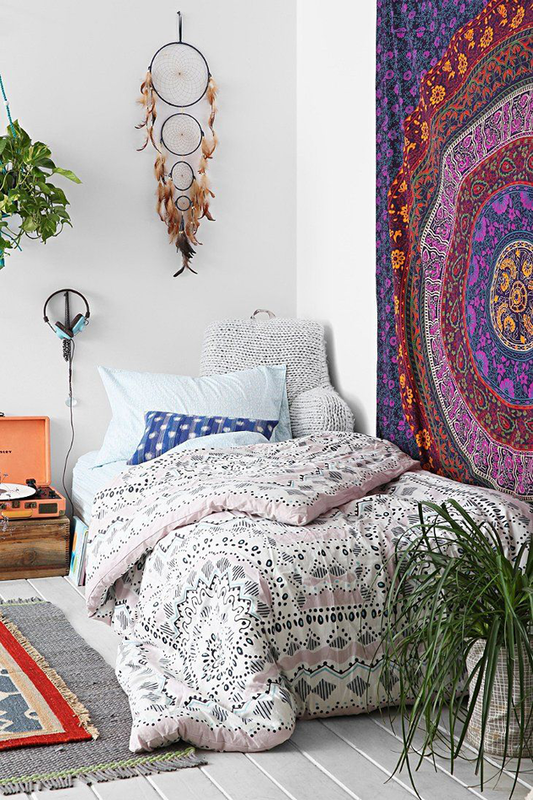 Before, saying anything about this bedroom, let’s have one minute of silence for the mandala tapestry on the wall. 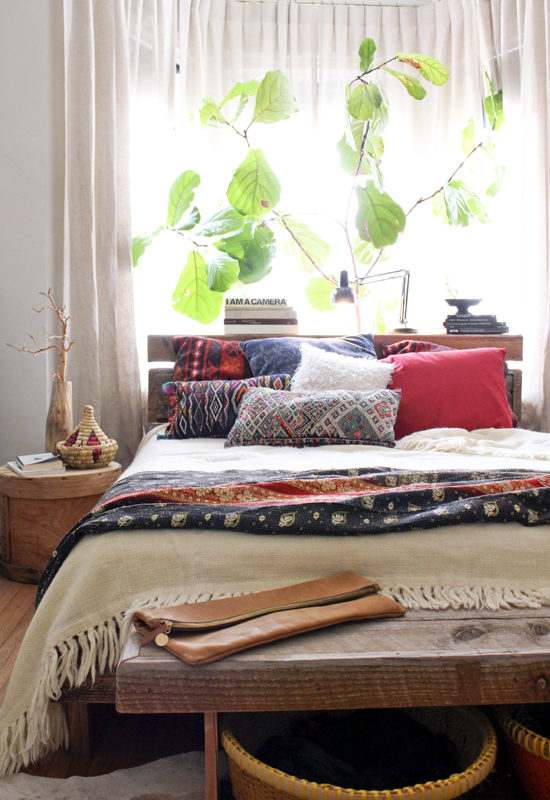 The beauty of this Bohemian oasis is its simplicity. 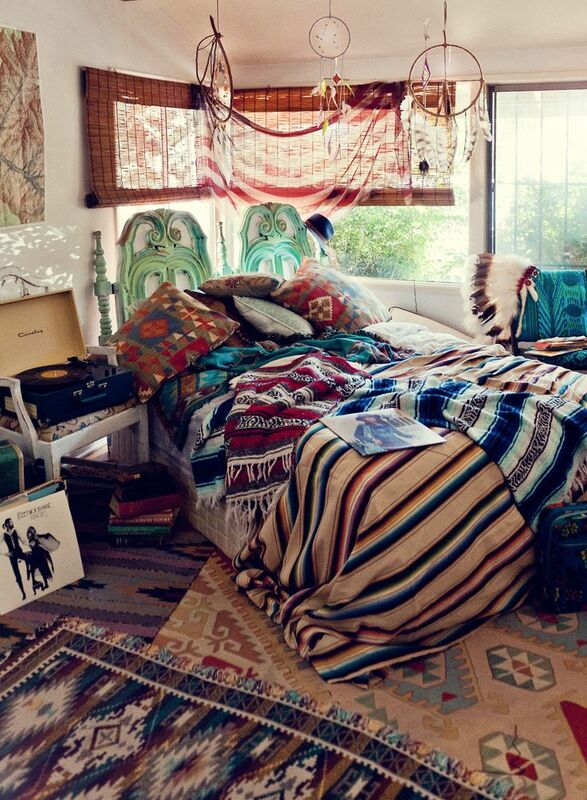 The bed looks gorgeous in the side of the room and creates a perfect symmetry in this outstanding Bohemian bedroom. 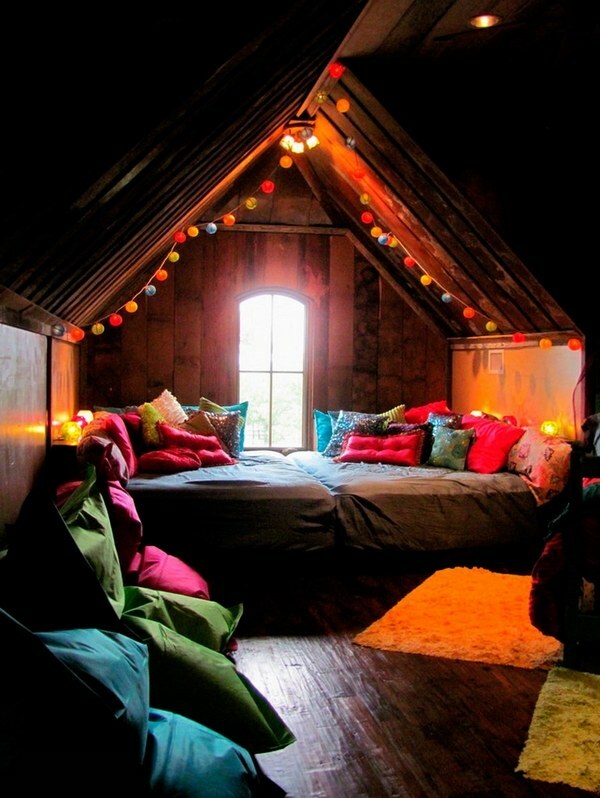 How perky and bright is this amazing bedroom, right? 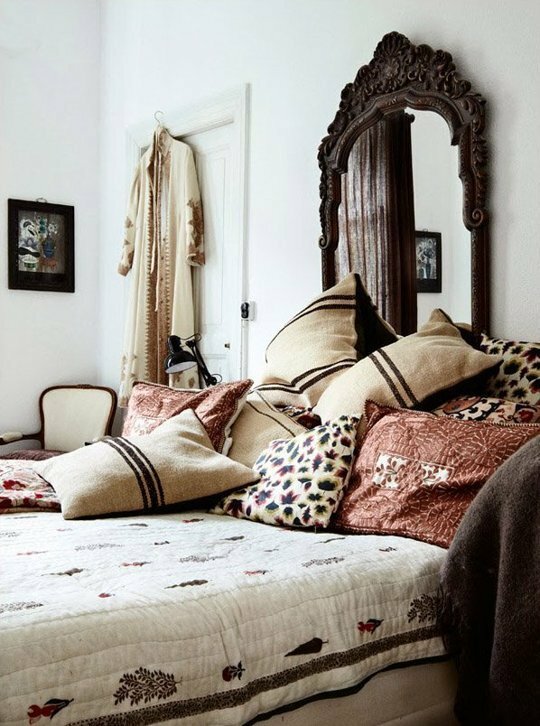 The designer of this Boho- Chic bedroom has shown a lot of effort in creating a bohemian bedroom but with a light nature. The over dyed patterned area rug overlapping a ethnic dark rug add vibrant and refined touch in the place. The black iron bed with light pastel bedding and pillows sets up a vintage appearance and make this bedroom lovely.